We woke up very early on this Saturday morning. We had a meeting with Ann Hazel Javier, the Executive Director of Pusod, Inc. at Pusod Taal Lake Conservation Center, 2 hours drive from Manila. No time to rest today; we had a visit of the volcano in the morning and a presentation of our project in front of students in the afternoon for a forum on sustainable tourism organized by Ann, the energetic president of Pusod . The visit in the morning was a wet one due to the heavy rain, but our motivation did not fail and we climbed the volcano and reached its top. When we came back, 217 students were waiting for us and for the other speakers, such as the Batangas Provincial Tourism Officer, Ms. Emelie Katigbak, Tanggkol Kalikasan President, Pusod, Inc. Executive Trustee Atty. Ipat Luna, and the travel agency Destination Philippines. After a great lunch and changing our clothes, we were ready! It was a cheerful and very interesting afternoon. But what about the Taal Lake Conservation Center? PUSOD, Inc is an environmental non-profit organization that has conservation initiatives in Mt. Malarayat Forest Reserve, Taal Volcano Protected Landscape, and Verde Island Passage. 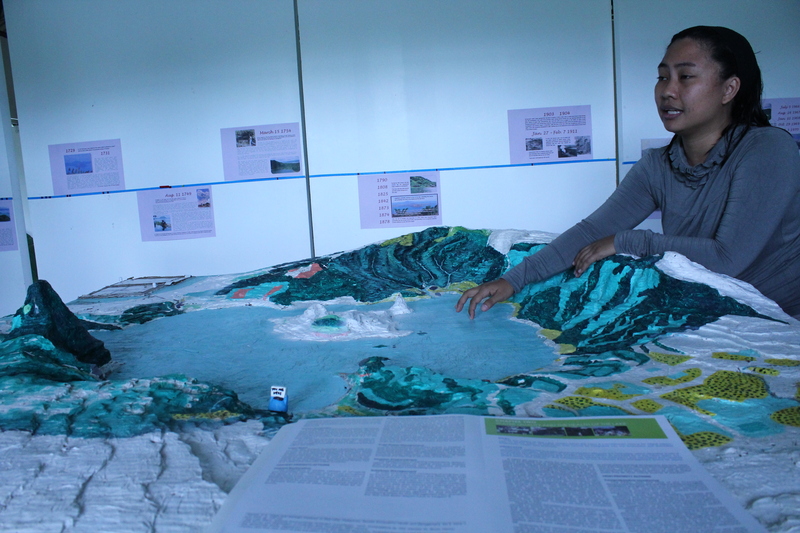 In partnership with the Municipality of Mataasnakahoy, they established the Pusod Taal Lake Conservation Center, a knowledge center where tourists can enjoy a briefing on the history and issues on a 3D map about the Taal Lake before visiting. Moreover, PUSOD has several missions to protect the area. 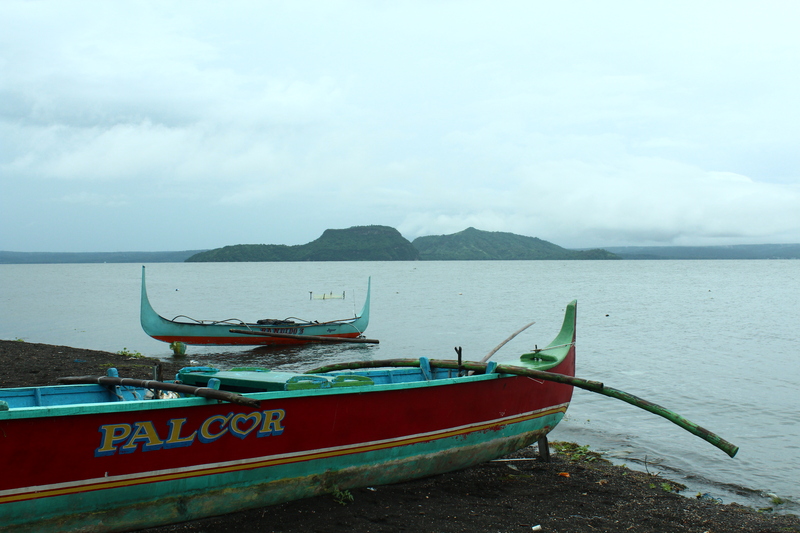 The water of Taal volcano is classified as B, which means it is safe for recreation activities but not for drinking. PUSOD has programs to keep this water in relatively good conditions: reduction of pollution from sources, work with community to have a good waste management program, and advocating for community-based ecotourism and support for social enterprises. What about people living on the Island? There are around 6,000 inhabitants on the island of the volcano, despite the strong disapproval of the Philippine Institute of Volcanology and Seismology (PHILVOC). Currently, these people are getting their livelihood mainly from agriculture, fishing and tourism. Pusod would like to encourage them to move on the mainland and establish livelihoods outside the volcano. Even if there are still some improvements to do concerning the tour and the management of tourists, we were impressed by the global long-term vision of PUSOD: this project is a clever mix of educational attainment, environmental protection, and dealing with social issues.